Between walks in the park, soccer games, picnics, and helping out around the school, there are so many events our kids participate in and require a lot from us. It may be snacks, toys, sports equipment, or potluck dishes that we have to tow from our homes to the car and beyond. Many moms have discovered this management can be made so much easier with a wagon. How to Choose The Right Wagon? There are many ways to make our lives easier when it comes to carrying everything we need to and from events. However, a wagon is one product that is so versatile you will find it well worth the investment. Many moms find themselves using their wagons even when the kids aren’t around. Many wagons are perfect for gardening, event set up, and the beach. The best part is how popular wagons have become! There are tons out there so you are sure to find one that is perfect for you. When it comes to wagons there are a few things you are going to want to consider before purchasing. As mentioned, there are a lot of different options to choose from. So be sure to consider these key factors when making a decision. Do you have kids that are young enough and would like riding around in the wagon? What is going to be the primary purpose of the wagon? Will you just be walking around your local neighborhood or will you be driving to different locations? Do you require your wagon to have a lot of storage? Does your area get a lot of sun or wind? 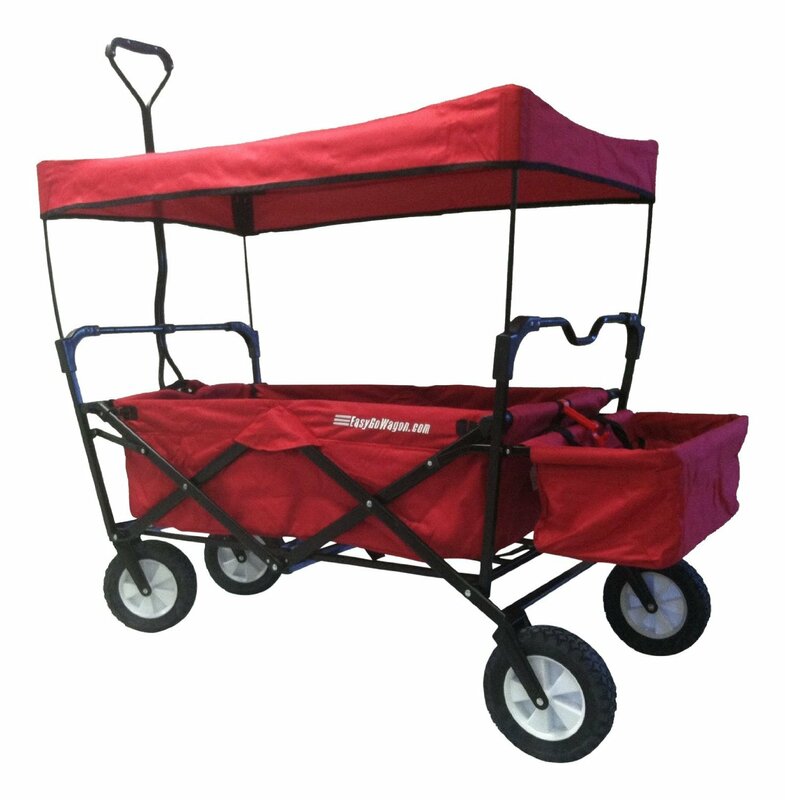 Is a canopy required for your wagon? 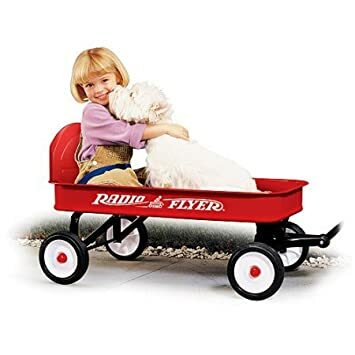 The Radio Flyer Ultimate Comfort Wagon can be best described as sturdy and versatile. 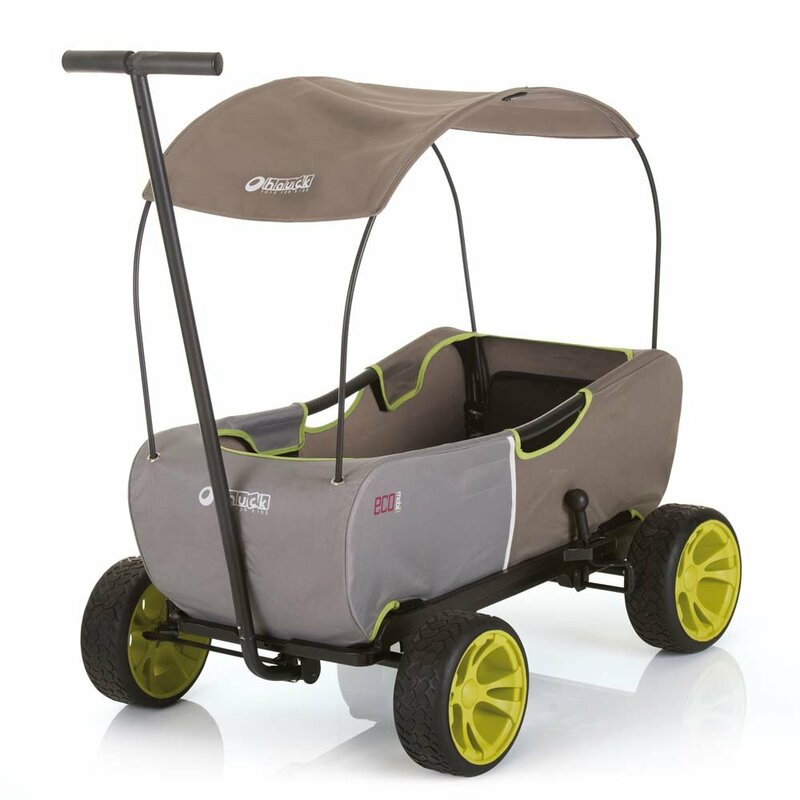 Is perfect for those who are looking for a wagon to last them quite a while and withstand many little one’s adventures. The wagon is designed with parents in mind, allowing for easy steering, storage, and options when it comes to hauling children or whatever you take with you on your many outings. Do you have young twins? Or a little one who refuses to be separated from their best friend? 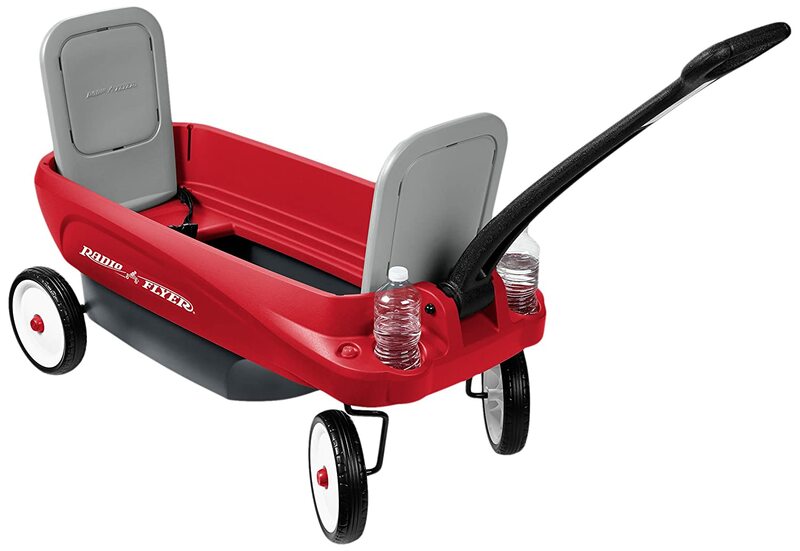 This wagon is perfect for those with 1 – 2 small toddlers. The wagon has an easy open door, two child seats, a foldable long handle, and lightweight build for quick pulling. All of these features allow for simple handling when encountering gravel roads, bumpy hills, or sandy beaches. The lightweight design makes it fun for kids to play with as well. The wagon does come equipped with two seats, which are suggested for toddlers. It also requires very minimal setup. This wagon may seem like a lot for a toddler, but you quickly realize how easy it can make your life. 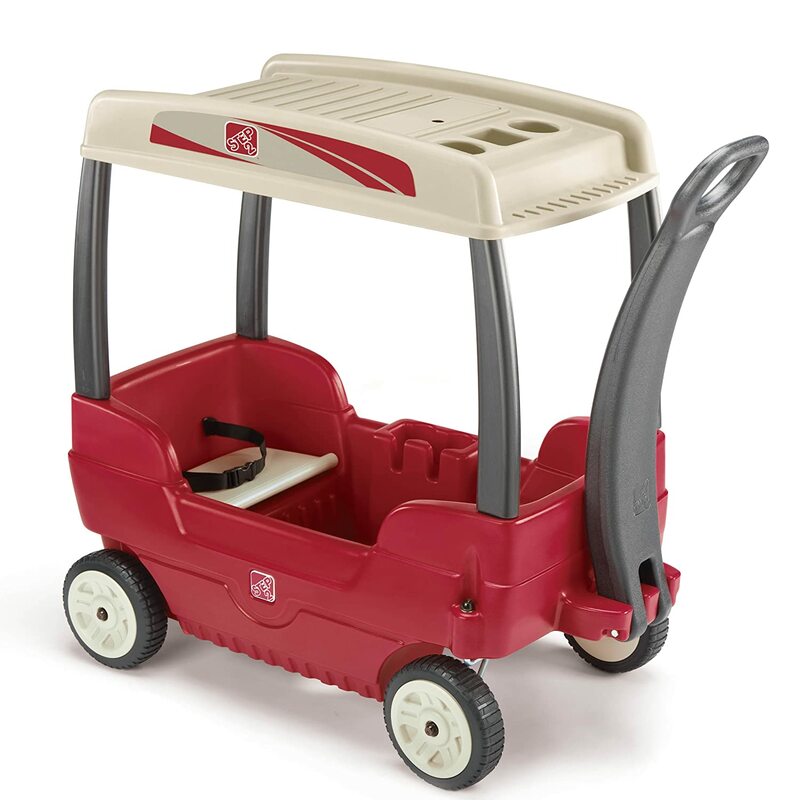 This wagon quickly converts into seating for your little ones, with plenty of cupholders and cooler storage. When it gets a bit too toasty, pop up the canopy for shade. When you are not using it to entertain your kids, remove the sides to help with yard work around the house. The sturdy and lightweight design can help with any house project. This wagon is perfect for those who have a lot to carry or are always in a hurry. 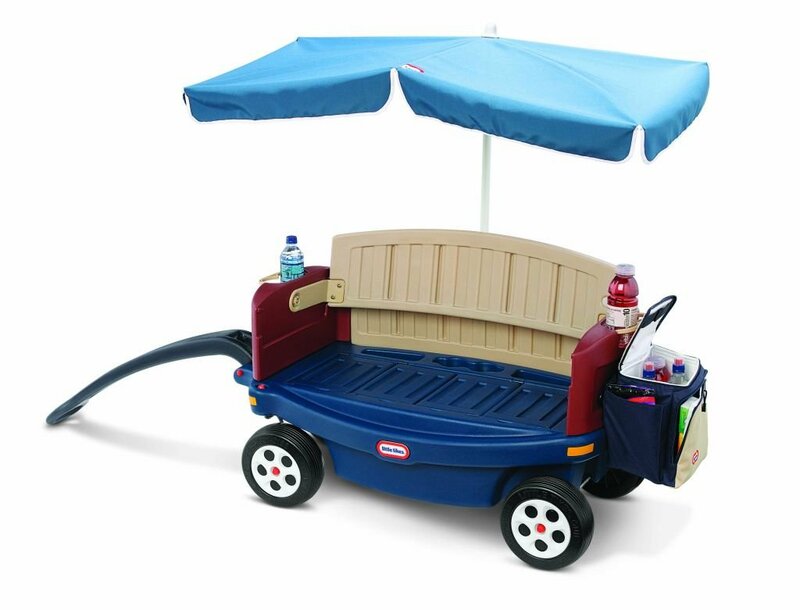 Not only can you pull your children, but the attached canopy allow for additional storage and cup holders. The built-in canopy also makes it easy for you to load up and go. The canopy is removable but sturdy enough to keep up for extended storage. No fussing over setting up the canopy before a walk. 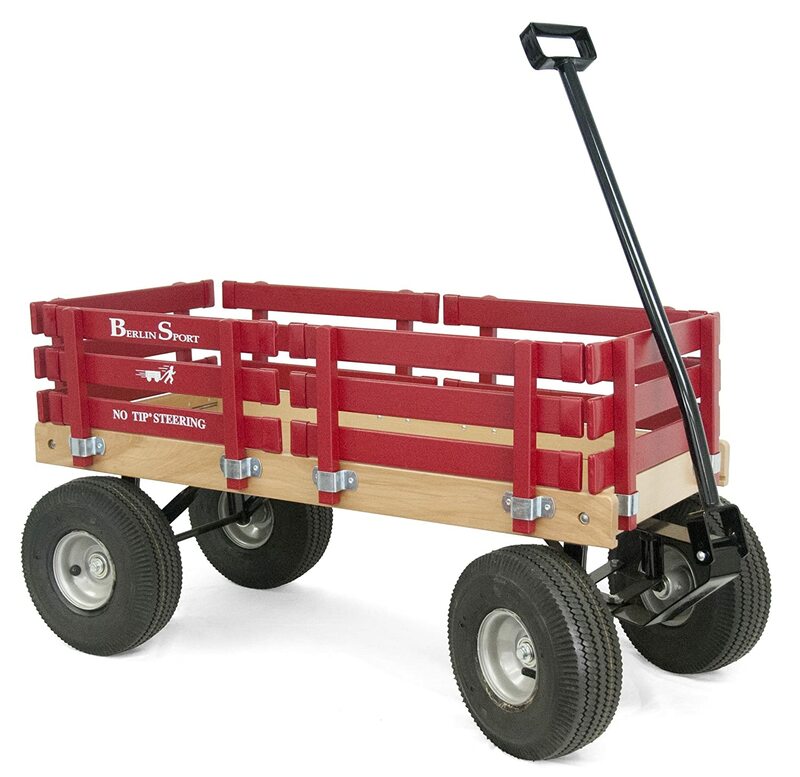 This wagon is ideal for those who are looking for an everyday use wagon. It can easily be used for many different needs when it comes to landscaping, camping, or hauling any sort of items around. The wagon also folds up very well, making it a minimalist’s dream. The fabric can be removed and washed, while the seats are easily removed or inserted for tiny one’s comfort. This may look like your basic wagon, but it has a few hidden secrets. Below the seats there is additional storage for snacks, toys, and any other gear needed. The seats easily fold down to create a shelf for more room. Then when you are putting your wagon away for later, the seats and handle easily fold in for discrete storage. 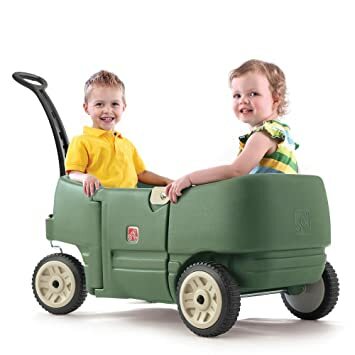 This wagon is ideal for those looking for something simple to pull their kids around in. The wagon does not come with a lot of extras, making it easy to set up, use, and store. What is included is two wagon cars for separate enjoyment, small storage compartment, seatbelt, and a long handle. The EasyGo Wagon is perfect for the busy parent with a lot of kids. 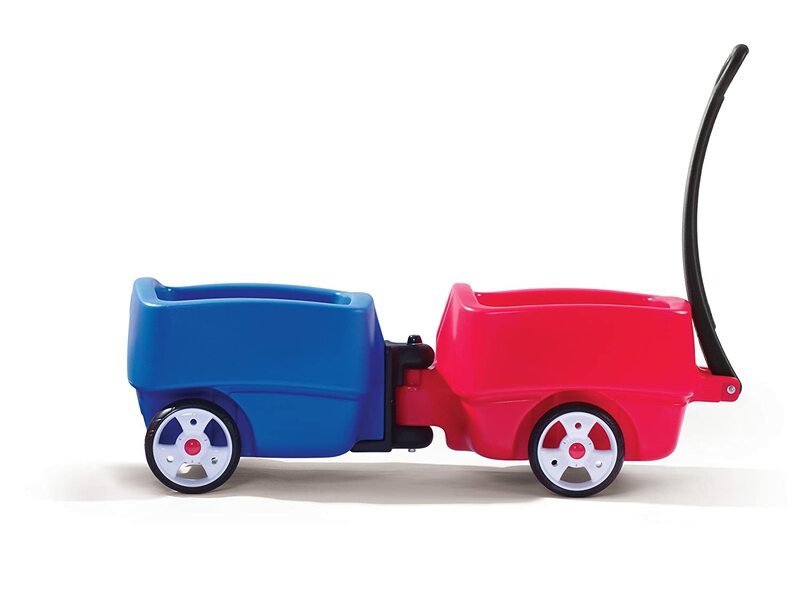 Not only can you tow your kids, but there is room for a few bags, and extra storage attached to the back of the wagon. Complete with a canopy an easy steering handle. How could it get much better? When you are packing up for the day, the wagon will easily fold up and fit into the back of a standard car. This wagon is simple while also being versatile and sturdy The wheels can take on any terrain, while the sides can be easily taken off. Perfect for taking on other tasks as well as removing the sides for storing it easier. It has a little bit of everything!